The author of a new guide for adult college students offers advice on how to successfully earn a degree at any age — and says one Washington two-year public college ranks among the best in the nation for serving adults going back to school. Go to any bookstore or library and you will find shelves of books about college — rankings, ratings, tips for finding the best fit, advice on how to write an essay, how to get into your dream school, and how to succeed when you get there. But most are written for a specific audience: high-school seniors and first-time college students. Few books are written for adult students planning to return to college or go for the first time — even though 40 percent of students at the undergraduate level nationwide are 25 are older, and in Washington, the average age of a community college student is 26. The number of adults who might want to go back to college is huge. In Washington, about one in five working-aged adults — or nearly 400,000 former students — has earned college credits but didn’t complete a credential, according to the Washington Student Achievement Council (WSAC), a state agency that has put a priority on helping more adults complete a degree or credential. 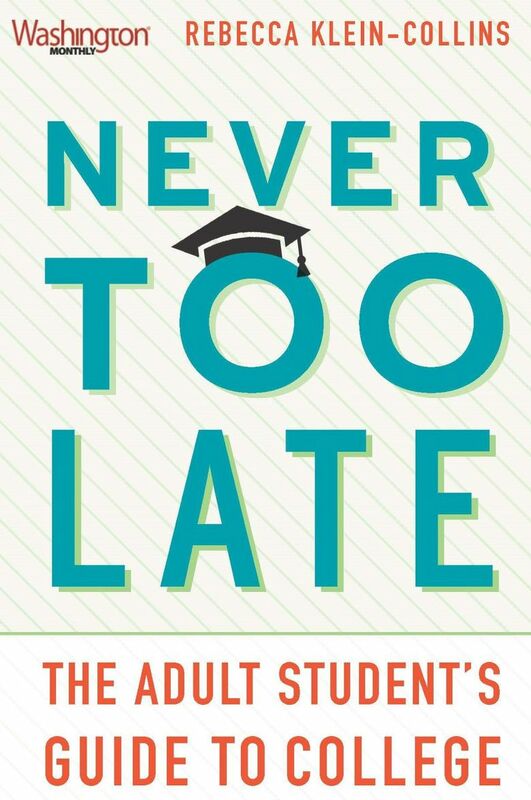 “Never Too Late: The Adult Student’s Guide to College” offers practical advice to adults returning to college, with ideas about how to pick a new career, a college program that will allow you to qualify for that career, and ways to pay for it. The economy is booming and unemployment is low, “but many Americans are still being passed over for promotions because they lack the requisite skills and credentials,” said Rebecca Klein-Collins, author of the book. 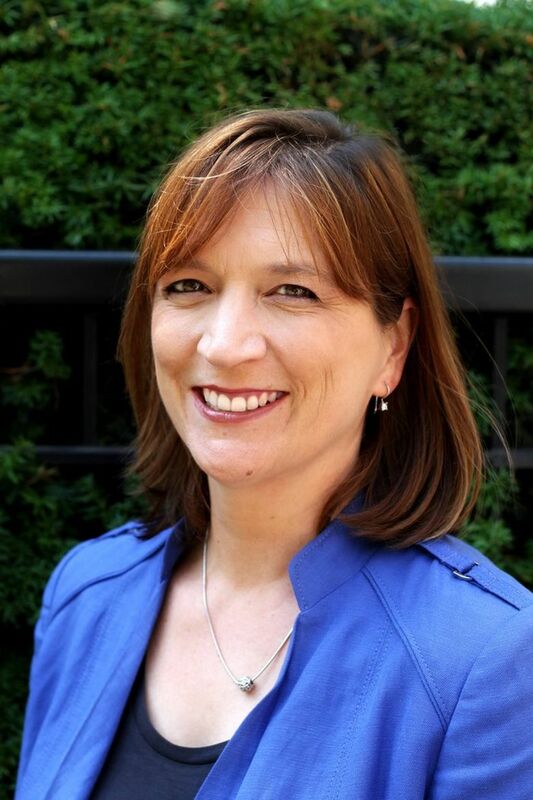 She is associate vice president of research and policy development at the Council for Adult and Experiential Learning, a Chicago nonprofit focused on adult learning. In cities like Seattle, many jobs that pay well are in high-skilled, technical areas, she said. “People without postsecondary learning or credentials are at risk of being left out of the growth.” And if the economy does falter, people with college credentials on their resume will likely do better. After the 2008 recession, when jobs started to come back, 99 percent of all new jobs went to people with at least some college education, according to the Georgetown University Center on Education and the Workforce. Most adult students go back to school because they want to change up their career, so start by researching job options. Klein-Collins likes two websites run by the U.S. Department of Labor: CareerOneStop.org and MyNextMove.org. In this state, WorkSource Washington has good tools geared to Washington jobs, she said. Ask people who do the job or career you’re interested in for an informational interview; you’ll be surprised how many people are eager to talk about their jobs and share advice, she says. You can also use job platforms like LinkedIn to reach out to people for more information. Another source: Klein-Collins likes the videos filmed by a nonprofit, RoadTripNation.com, which features interviews with professionals from a wide range of jobs. You’ll want to figure out which schools offer the credentials you need. If you know a college in your area that offers a degree in the field you’re interested in, stop by in person for more information and advice. Ask what a first job in that line of work would be like, and what you’d need to study to get hired. Other Western Washington two-year schools that scored well in the national rankings: Skagit Valley College (18), Olympic College (27), Tacoma Community College (56) and Shoreline Community College (57). Four-year schools that did well included City University (8), University of Washington Bothell (20), Washington State University (40) and UW Seattle (58). There is financial aid available for adults returning to college, but it’s limited if you’re not going to school full-time. Klein-Collins suggests using the website CollegeScorecard.ed.gov, run by the U.S. Department of Education, to figure out the net price for a college you’re interested in. The net price can be different from the listed sticker price because it takes a family’s income into account. There are other ways of thinking about college costs, Klein-Collins said. For adults already working or raising a family, time is money, so she suggests looking for schools that design programs around working adults — programs that award credit for skills you’ve learned on the job, for example, or classes that move at your own pace, or are online. While online programs can be a good option, recent studies have raised questions about the efficacy of learning online, Klein-Collins said. “There are good online programs, and there are bad online programs — there are students who are really good fits, and students who are not good fits.” If you’re interested in an online school, first try to determine if that type of instruction works for your learning style. Some programs will give you a chance to demo a course before you sign up. Finally, Klein-Collins says there’s a high cost to pay if you make a mistake and end up dropping out. Federal data shows that in 2015 and 2016, 3.9 million students who dropped out of college without earning a degree were saddled with a student loan payment. The National Student Clearinghouse estimates that only about 40 percent of students who start college past the age of 20 will finish in six years; about 60 percent of those who start when they’re 20 or younger finish in six years. “Find a college that’ll really help you succeed, persist and get a degree,” she said. Katherine Long: 206-464-2219 or klong@seattletimes.com; on Twitter: @katherinelong.